At this year’s annual SAP user conference, SAPPHIRE, the technology giant showed advances in its cloud and in-memory computing efforts. It has completed the migration of its conventional application suite and portfolio of tools to operate on SAP HANA, its in-memory computing platform, and made improvements in its cloud computing environment, SAP HANA Enterprise Cloud. 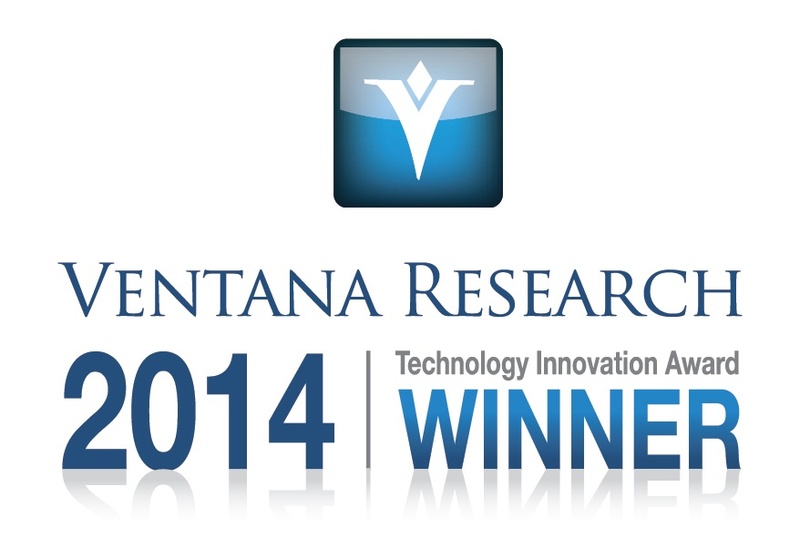 The last time I analyzed SAP HANA was when it won our firm’s 2012 Overall IT Technology Innovation Award. 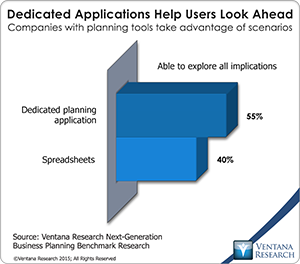 Now HANA has been transitioned from just a database technology into a broad platform. SAP wisely consolidated its efforts previously known as SAP NetWeaver into SAP HANA. This resolves some confusion regarding HANA and NetWeaver in the cloud, which I assessed. The recently announced SAP HANA Platform now provides the enterprise class of HANA implementation in the cloud. It comes with a trial edition of the data and visual discovery technology now called SAP Lumira, whose price has been reduced to encourage adoption (and which I discuss more below). 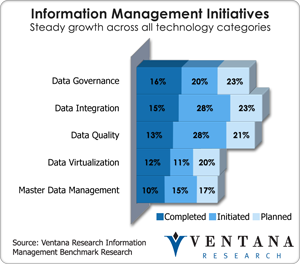 The use of in-memory databases for big data is accelerating: According to our technology innovation research, 22 percent of organizations are planning to use this technology over the next two years, and through 2015 it will have a higher growth rate than other approaches. Teradata recently gave me a technology update and a peek into the future of its portfolio for big data, information management and business analytics at its annual technology influencer summit. 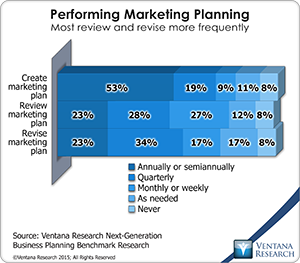 The company continues to innovate and build upon its Teradata 14 releases and its new processing technology. Since my last analysis of Teradata’s big data strategy, it has embraced technologies like Hadoop with its Teradata Aster Appliance, which won our 2012 Technology Innovation Award in Big Data. Teradata is steadily extending beyond providing just big data technology to offer a range of analytic options and appliances through advances in Teradata Aster and its overall data and analytic architectures. 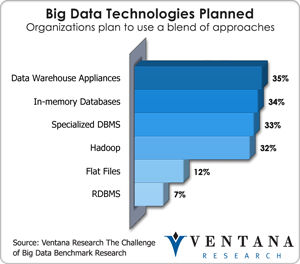 One example is its data warehouse appliance business, which according to our benchmark research is one of the key technological approaches to big data; as well Teradata has advanced support with its own technology offering for in-memory databases, specialized databases and Hadoop in one integrated architecture. 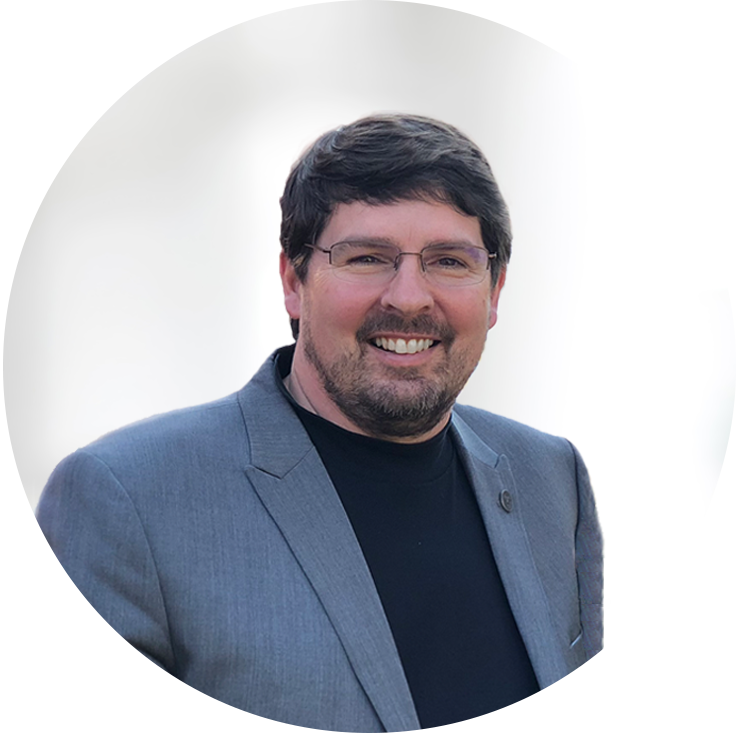 It is taking an enterprise management approach to these technologies through Teradata Viewpoint, which helps monitor and manage systems and support a more distributed computing architecture. 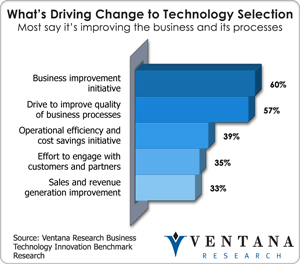 I’m happy to say that Ventana Research celebrated its tenth anniversary at our recent Business Technology Innovation Summit in San Jose at the Tech Museum. This location was fitting, since at the event we introduced and presented our first-ever Technology Innovation Awards and seventh annual Leadership Awards. If you did not get a chance to attend, we have the live webstream available for replay at no cost; thanks to Splunk for sponsoring this to let everyone enjoy the sessions. If you follow my writing, you’ve seen blog posts with titles such as Industry Exposé: Technology Vendors Skew Analysts and Influencers and Industry Analyst Art or Fiction: Questionable Technology Predictions, so it should be no surprise I can’t resist an opportunity to talk about a little bit of insanity on the part of technology suppliers and industry analysts about social media. I recently wrote about how technology vendors attempt to skew analysts’ and influencers’ research from the edit and review cycles controlled in financial contracts to payment for placed blogs as independent analysis published on the Internet. It is unfortunate that we have to deal with this level of bias. Clearly it is critical for business and IT to identify trusted sources of research and insight that can help determine technology direction. 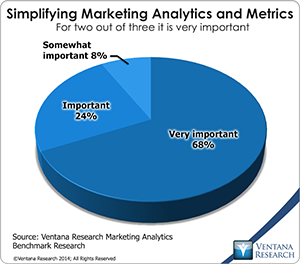 Businesses need not just data but insights from experienced advisors who can provide information with depth and meaning. Unfortunately, a recent pronouncement or prediction from one analyst firm throws a bad light on technology analysts in general.